STMicroelectronics is making its Teseo III satellite-navigation receiver accessible to more designers as it introduces the Teseo-LIV3F GNSS module. The module has up to 16Mbit of flash memory for firmware updating or data logging without a back-up battery. 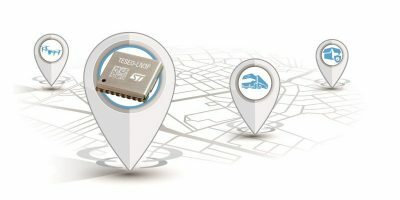 Established in the automotive and industrial sectors, ST’s Teseo III multi-constellation receiver combines accuracy, fast response time and low power consumption, says ST. Makers and small engineering teams can now use the Teseo-LIV3F module without the need for extensive in-house RF expertise to create new products in the industrial and consumer market segments. Target applications include vehicle trackers, drones, anti-theft devices, pet locators, and systems for services such as fleet-management, tolls, vehicle sharing, or public transportation. 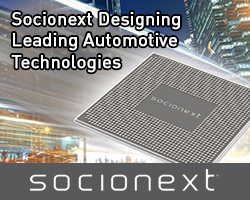 The 18-pin, 9.7 x 10.1mm module contains the Teseo III receiver with on-chip power management, UART and I2C interfaces, alongside the flash memory, a temperature-controlled crystal oscillator (TCXO), and 32kHz real-time clock. 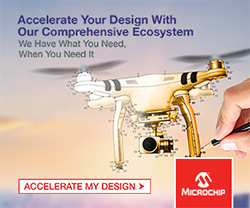 The documentation and tools delivered with the module contain all the C code needed to drive the module using the STM32 microcontroller, including the use of data logging, odometer, and geo-fencing to aid development of value-added functionality. The Teseo-LIV3F simplifies application development and includes -163dBm tracking sensitivity and 1.5m positioning accuracy (CEP) and low-power operation (17 microW in standby mode and 75mW when tracking). 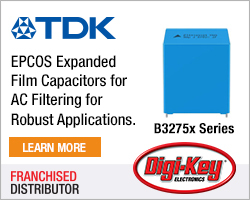 FCC and CE certifications streamline product testing and accelerates time to market. Multi-constellation flexibility ensures robust, failure-resistant navigation worldwide, with access to GPS, GLONASS, Galileo, and Bei Dou constellations, as well as the Pacific-region Quasi-Zenith Satellite System (QZSS). The module supports assisted modes including autonomous ST Assisted GPS (STAGPS) and server-based assisted-GNSS with free server access, to retrieve ephemeris data if satellites are unavailable for fast time to first fix (FTTFF). There is also support for standardised augmentation systems to enhance accuracy, including the US, European, Japanese/South-East Asia, and Indian Satellite-Based Augmentation Systems (SBAS), and the Radio Technical Commission for Maritime Services (RTCM) differential GPS. The Teseo-LIV3F module is available now as an 18-pin LLC device.